An enterprise search engine has two components: a front end and a back end. Both work together with the search index. The index is built statically for search speed, and is updated periodically. This is unlike a database where the indexes are updated in real time when data is changed or added. Creating and updating the index. Crawler – The crawler module reads and collects web pages and follows the links between them, starting with a list of initial URLs. Document Processor – The document processor module processes web pages received from the crawler, as well as information received from databases through a ‘database connector’ and information from directories of files. The document processor takes the meaningful text from the documents, no matter the type or format, and adds whatever meaningful ‘meta-data’ it can determine, such as title or authors. Indexer – The indexer module does the brute force work of creating and maintaining the index from the information it receives from the document processor. Web server – The user’s web browser fetches a web page from the web server that contains a search form. The user then enters a query and the web browser sends the request to the web server. Query processor – The web server sends a request with the user’s query to the query processor. The query processor properly formats the request and sends it to one (or more) search modules, collects the results and sends them to the web server for final formatting. Search Engine – The search engine module receives the request from the query processor and does the actual searching inside the index that was created by the indexer. Allow search engines to gather information from various sources (structured databases, unstructured documents on internal and remote servers, desktop computers) in your enterprise as well as the external web. Specialized connectors are available for almost every type of file format and application, and custom connectors can be designed as needed. Build a customized ranking model that delivers content based on concepts, context, date, authority, completeness, geography, statistics, and quality. Tune each element to match your business needs. Identify synonyms (search for “Great Britain” will include results for “England” as well), abbreviations, phrases, idioms, part of speech, and misspellings. Lemmatization matches regular and irregular grammatical forms. Type in ‘goes,’ and you can also find ‘went.’ Prefixes and suffixes can be disregarded, if needed. Certain words can be skipped. The system knows the difference between the ‘wind that blows’ and ‘wind your watch.’ Phonetic search allows you to find results based on phonetic similarities, especially useful for names. The system can recognize queries containing who, what, where, when, or why, and provide appropriate results. Determine if a document has a negative or positive tone. Use this tool to monitor user groups, to analyze reviews of your products and services, or to follow press coverage of your business. Each organization has specific guidelines for how it does business, and these guidelines can be implemented in an enterprise search solution. If you have, for example, two levels of advertisers who pay for placement, the higher level advertiser can be assigned to appear in a separate format on top of the results list. When customers have worked with you before, use business rules to determine which search results are most relevant to their specific needs. Enterprise search needs to be fast, and it needs to be reliable. TNR Global designs your hardware specifications to meet speed requirements and to offer a failover option in case of power outages or server issues. Search engine architecture is scalable, and you can increase index capacity, indexing rate, and/or query processing speed as needed. You can’t manage what you don’t measure. One of the most valuable tools in enterprise search is the ability to learn from the system and measure results. With benchmarking, you track how your users respond to the search engine, and how the search engine responds to them. Metrics include click counting, hardware performance, and quantity of data searched. You can track which queries return no results and then tweak synonyms or taxonomy to provide answers to these queries. Security is a vital component for any enterprise application. With enterprise search, security guidelines apply both to the documents and to the user. Each set of documents can have its own security settings. You can restrict documents from the search engine, or allow the search engine to index the documents, but restrict access to certain groups of users. Security checks are performed when a set of results is queried and as the indexer crawls the data source. Most people associate search with Google or Yahoo. But enterprise search is a different type of solution. Word association – when someone says ‘search’, is your next thought ‘Google?’ How Google works: People who create public web sites design them to be found. Google indexes mostly homogeneous html pages that contain metadata and special tags. Moreover, the strength of Google’s search engine is based, in large part, on an algorithm that tracks how sites are linked to other sites. In a simplified case, the more incoming links a page/site has, the higher the ranking in search results. Enterprise information often resides in non-interconnected and even legacy systems, in a wide variety of file formats. Data is located in internal directories, emails, manuals, technical specifications, CMS (content management software), CRM (customer relationship management) software, and the list goes on (and on). Compare enterprise data to the html pages that Google searches. Where is the network of links? Where are the metadata tags that help Google find pages? In most cases, they don’t exist. When companies begin looking for a search solution, it is easy to become overwhelmed by the variety of software and vendor choices available, and the complexity of the technology. The benefits of enterprise search, however, are clear. Don’t make decisions in the dark. Find the answers you need from sales records, internal memos, research, financial reports, relevant industry web sites and more. With enterprise search implemented on your external web site, customers are able to find answers to technical or sales questions easily, so they don’t need to call. And when they do call, you spend less on call center costs when when your representatives are able to find information quickly. With the rise of telecommuting and outsourcing, you may have workers in different time zones and on different continents. When your London office needs an answer, and it’s 3:00 am in NY, calling the manager in NY may not be the best option. Wouldn’t it be better if that answer was available through internal search? Reduce the cost and the time invested in complying with government or industry regulations. Advertiser driven? Subscription based? Retail transactions? Whether you profit by selling information, ads or bungee cords, enterprise search can help. With enterprise search, you can easily offer different levels of access for subscribers. Increase advertiser revenue by coordinating banner ads with customer data. Selling shoes? Have the search engine suggest a pair of matching socks. No matter what the business, customers want to find things quickly. As many as half of prospective customers will leave after two to three clicks if they can’t find what they need. Implement enterprise search, make search easy, and turn prospects into sales. Enterprise search has applications in a variety of areas and industries. Within a single enterprise, there may be many departments that can benefit from a customized enterprise search solution. Start by contacting us. We will work with you to prepare a full analysis detailing how an improved enterprise search can benefit your organization. Our mission goes beyond a single implementation. We help companies grow, and we value long term business relationships. TNR Global provides enterprise search implementation services throughout the entire implementation cycle. We help evaluate different vendor options, audit existing solutions, implement new solutions, upgrade existing solutions, and provide ongoing support for implemented solutions. 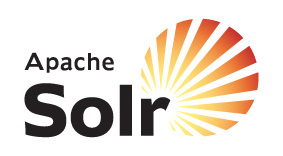 We specialize in Lucene Solr development and implementations. We also have experience with other open source search systems: ElasticSearch for Big Data, SearchBlox, Sphinx, Hadoop, HBase, Lemur/Indri, Nutch, SWISH-E, and OpenFTS. Contact us for a free consultation.